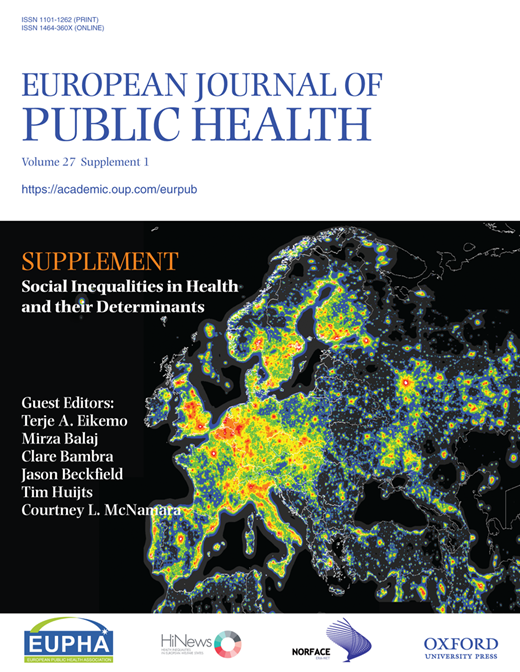 Why do social inequalities in health persist in European welfare states and what can be done to reduce them? Expected outcomes and the impact of this project include the refinement, testing and development of social inequalities in health theory, the identification of policies and interventions with the potential of reducing health inequalities, and a new policy agenda on how health inequalities can be reduced most effectively. The project consists of six interrelated work packages delivered across three project phases. In the first phase, we have provided theoretical elaboration on the pathways whereby welfare states and healthcare systems influence the etiology and reduction of social inequalities in health. In the second phase, we have explored and tested these pathways using morbidity and mortality indicators. We have also used evidence review methods to examine the effects of macro policy interventions in reducing health inequalities. In the third phase, we will combine the work packages to produce country specific policy tool-kits. The project will thus impact on both the academic and policy spheres. We use a variety of cutting edge data sources at the micro and macro level and employ state-of-the-art statistical techniques, such as counterfactual policy analyses and multilevel models. HiNEWS project is funded by NORFACE (New Opportunities for Research Funding Agency Cooperation in Europe) Welfare State Futures program (grant reference: 462-14-110). HiNEWS is a collaborative project among the universities of Newcastle, York, Trondheim, Siegen and Harvard.